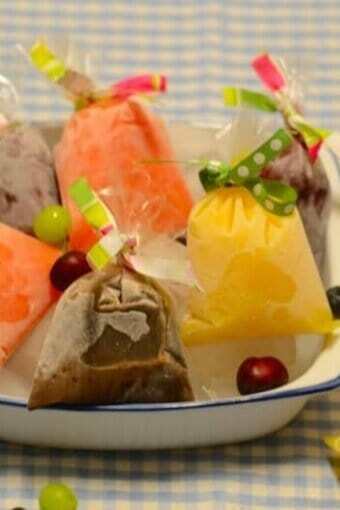 Chocolate ice pops in a baggie without preservatives and artificial flavors. It is creamy, refreshing, and delicious! A summer must-have! My little one has been bringing frozen pops home with her from school recently. One of her pre-school friends has been giving her these manufactured, chocolate and “fruit” flavored ice pops full of artificial food coloring. She seems fascinated by them. Although I do appreciate her little friend’s kind gesture, I am uncomfortable with the idea of having my child ingest that stuff. I can well remember how much I used to love ice pops in a baggie when I was a child. The difference is that back then, they were made with fresh fruit, or at least with real ingredients, and without all of those artificial dyes. Well, I had to take matters into my own hands. I decided to make some real ice pops for my children. Coincidentally, temperatures have been sky-high and their summer vacations have started. To get them involved, I let them pick the flavors and help me to make the pops. They were thrilled! 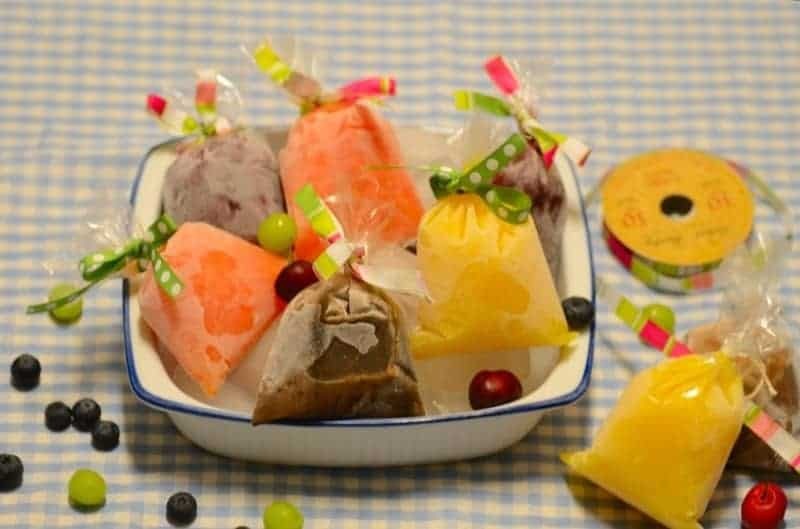 We made 4 different flavors: chocolate ice pops in a baggie, a fruit-vegetable one (great for getting children to consume veggies without their knowing, or at least without resisting the idea of eating them), as well as 2 other ones made with bottled fruit juices (real orange juice with vitamin D and 100% grape juice). All gluten-free. And except for the chocolate pop, all the other 3 flavors were both dairy-free and vegetarian. All of them were able to be made easily and quickly with ingredients that we already had at home. These also make great treats for picnics and birthday parties. The only problem was finding long and narrow plastic bags. In Brazil, this is not an issue at all! Well, in the US it was. I searched everywhere. I could not find exactly what I was looking for, so I improvised. I bought a package with 100 count of transparent treat bags in the party section of Hobby Lobby. 🙂 These measure 3.75 x 6 inches, and are not nearly as narrow or long as the ones in Brazil, but it was the closest thing that I could find to what we would use there. Chocolate ice pops in a baggie without preservatives and artificial flavors. It is creamy, refreshing, and delicious. 1 can condensed milk 14 oz or 396 gr. Blend all the ingredients together well in a blender. Fill 8 3.75 x 6 inches bags two-thirds full and close each bag with culinary string (tie tightly). Freeze for at least 4 hours. Serve. These can be decorated with a ribbon right before serving (if desired). ** This recipe is gluten-free. Blend all the ingredients together well in a blender. Fill 8 3.75 x 6 inches bags two-thirds full and close the bag with culinary string (tie tightly). Freeze for at least 4 hours. Serve. These can be decorated with a ribbon right before serving (if desired). ** This recipe is gluten-free, dairy-free, and vegetarian. Note: Use these measurements as a guide for creating other flavors. Thanks for following my blog, liking posts, and reglogging my ” A summer favorite treat…” post! 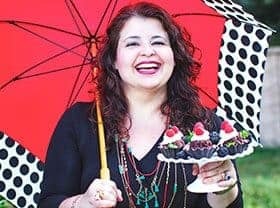 Good luck on your weight loss journey!! !